Water and energy underpin economic and social development. Water is needed for each stage of energy production, and energy is crucial for the provision and treatment of water. This interdependency has significant implications for both energy and water security. With both water and energy needs set to increase, it has become ever more important to understand the linkages between the two, to anticipate future stress points and to implement policies, technologies and practices that soundly address the associated risks. 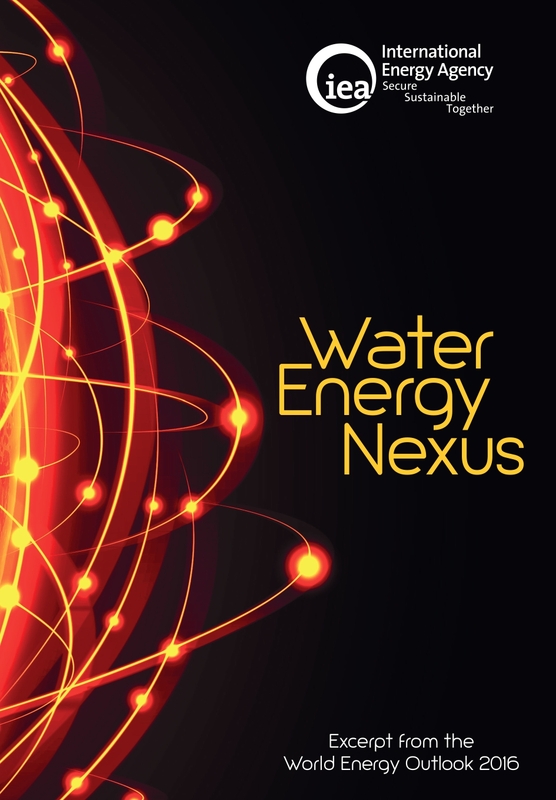 In the energy community, much of the attention has centred on the impact of water availability on the different processes of the energy sector and the energy sector’s impact on water quality and quantity. The World Energy Outlook (WEO) assessed this very topic in 2012 and in the years since, has provided deep dives on different components of this issue, including the impact of water scarcity on coal-fired power plants in India and China. What is less well understood is how much energy the water sector uses—this information is vital if we are to identify chokepoints and implement effective solutions. To this end, in addition to updated projections for future freshwater requirements for energy production under different scenarios, this excerpt from the World Energy Outlook 2016 undertook analysis to provide a first systematic global estimate of the amount of energy used to supply water to consumers. It assesses how much energy is required for a range of processes in the water industry, including wastewater treatment, distribution and desalination and how these needs might grow over the next 25 years. It also lays out where existing energy efficiency and energy recovery potentials can be exploited. The chapter draws on the broader analysis and modelling in the World Energy Outlook 2016 and makes reference to two scenarios. Based on a detailed review of policy announcements and plans, the New Policies Scenario reflects the way that governments, individually or collectively, see their energy sectors developing over the coming decades. Its starting point is the policies and measures that are already in place, but it also takes into account, in full or in part, the aims, targets and intentions that have been announced, even if these have yet to be enshrined in legislation or the means for their implementation are still taking shape. The climate pledges, known as Nationally Determined Contributions (NDCs), that are the building blocks of the Paris Agreement provide a rich and authoritative source of guidance for this scenario. The decarbonisation scenario referred to in this excerpt is the 450 Scenario and it is quite different in design from the New Policies Scenario. The New Policies Scenario starts with certain assumptions on policy and then sees where they take the energy sector. The 450 Scenario starts from a certain vision of where the energy sector needs to end up and then work back to the present. The objective of this scenario is to limit the average global temperature increase in 2100 to 2 degrees Celsius above pre-industrial levels. Making this excerpt available for World Water Day is an attempt to draw attention to critically important issues on both sides of the energy-water nexus. The findings show that there are ways to mitigate risks. Policies and technologies already exist that can help ease chokepoints and reduce demand in both sectors, meaning that water does not have to be a limiting factor for the energy sector and a rise in water demand does not have to be accompanied by an equal rise in energy demand. However, there are trade-offs to consider and successful action will require a strong, coordinated focus across different branches and levels of government, as well as collaboration between policy-makers, researchers, industry and consumers. This report bears witness to the importance and benefits of such collaboration, as many research institutions, companies and experts provided input to make this report a success.